Soil fumigation with methyl bromide or other compounds was used in certain high-value crops to control a wide range of soil borne pests including many root and foliar disease pathogens, plant parasitic nematodes, and weed seeds or vegetative propagules. Soil fumigants are broad-spectrum biocides; thus they are usually used “preplant” and are applied several weeks or months before the crop is planted to reduce the chance of crop injury. Fumigants differ from many other types of pesticides in that they are volatile gases at ambient temperatures. Soil fumigants typically are applied below the soil surface through either tractor-mounted shanks or though drip tape or tubing (chemigation). Within a few hours of application, the gaseous fumigant disperses through soil pores from the area of high concentration near the injection point to areas of lower concentration. In most cases, the soil surface is mechanically compacted or covered with plastic film to slow fumigant emission to the atmosphere. Fumigant movement through soils is affected by soil texture, moisture, and temperature. Pest control efficacy depends on the organism receiving a sufficient concentration-time (CT) exposure to the fumigant. Fumigants are subject to a number of dissipation processes including chemical and microbial degradation to non-toxic metabolites, partitioning into soil organic matter or clay particles, off-gassing or emission to the atmosphere. Effective CT values can be reached through high concentrations for short periods of time or through lower concentrations for longer periods of time. 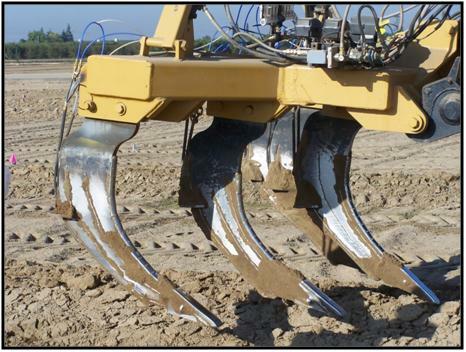 Depending on the application technique used, application rates, and specific chemical properties of the fumigant, preplant soil fumigation can provide very high levels of pest control up to several meters deep in the soil profile. Higher rates are often used in long-lived, deep rooted crops such as orchards or vineyards or where pest thresholds are very low such as certified nursery stock. Lower rates or shallow injection depths are often used in fields where crops with shorter lifecycles or shallow root systems are grown. 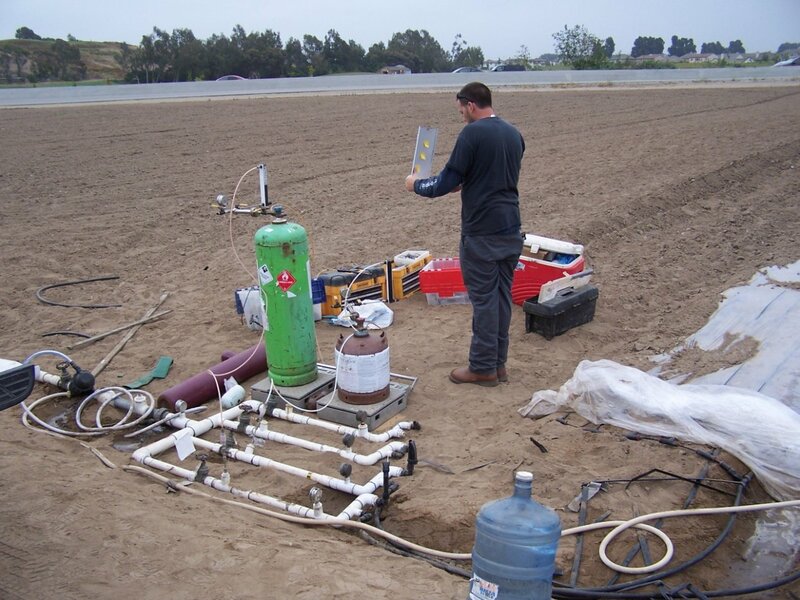 Application of soil fumigants in California, Oregon, and Washington is a highly-regulated process and is typically done by professionally trained and licensed applicators rather than by individual growers. Specialty formulated fumigants can be metered into flowing water and distributed across the field and into the soil profile using drip irrigation systems as in this flower nursery experiment. 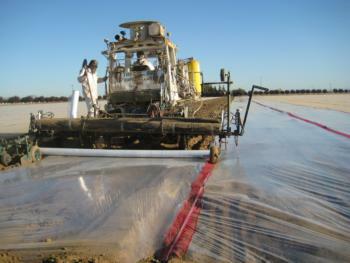 Drip fumigation or chemigation is commonly used in strawberry and other shallow-rooted crops.